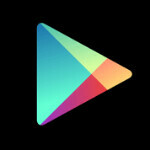 We had been hearing the name Google Play for the past few days or so. Some had thought it was going to be the name of the upcoming Nexus tablet, but it turns out Google's plans for the name are a bit less interesting. The name is really just the re-branding of Google's various stores under the name Google Play, since all of the content could already be found in the same integrated store already. The services themselves don't seem to be changing at all, it's really more of a destination change to make it easier for users to find the Google media stores rather than having to go through other products. This means that your old bookmarks for the Android Market Web store will automatically be routed to the new Google Play address, although the Market itself still looks the same with sections for Apps, Music, Books, and Video. Similarly, the Google Music website has been pulled under the Play subdomain. The changes should be rolling out to Android 2.2+ devices "over the coming days". As part of the re-branding, Google is also offering a new album, book, video, and Android app at a special price for each of the next 7 days. Today's deals include Android game Where's My Water, the ebook of Extremely Loud and Incredibly Close, a rental of the movie Puncture, and the That's What I Call Music #41 full album, each is only 25 cents. i hate it. my apps updated today with this lameness. bring back the Market! Nothing changed so far except the name of the stores and the logo of Google Music. Is it really worth calling for the old Market to come back? Change, whether good or bad, will always be met with resistance. yes, the name change is too radical. the Market needed that familiarity that it was really only starting to solidify in the world. people look for availability in the Android Market, not Google Play. even the name sounds bad and barely makes any sense. it sounds like something Sony would come up with. So, it makes more sense to have all music, books and video in the Android Market, even though none of those things are exclusive to Android, than it is to have all media under the name Play? Sure, the name is a bit silly, and definitely something Sony would come up with, but having everything under one name makes sense. Far more sense than having all apps, books, and video in something called iTunes. Credit where it's due, I was just agreeing with KingKurogiii about the name sounding like a Sony product. actually yes it does. you can even look at the history of Google's name to understand what i'm saying here. they decided on the name "Google" because it doesn't mean anything and it was unlikely that the name would infringe on anyone's intellectual property. Google is a household name now. not everything in the Market is Media. i don't "Play" a Book, i don't "Play" an App and in all frankness the Play branding will not be taken seriously. people are used to saying "well you can get it on the Market." or "available now in the Android Market!" and now people are going to be like "yeah, it's in the Mark..Play...Store. eh"
I would have preferred the name be simply the Google Market. That said, you do "Play" some apps, they're just called games though. Games are Games. :P Google Market would've been fine, not better but it would've been better than Play. I'm seeing this article a bit late but.. A googol is a 1 with 100 'Zero's behind it. Obviously Google is spelled differently but thats still the idea. yeah, i've already read it. my point still stands. nice try but say you're playing an interactive book or you're playing an App without feeling silly...yeah. :P :P :P if they thought the name was what was wrong then they were terribly mistaken. they're destroying a great brand here. they crossed a line so now where will they stop? will they rebrand Android too? The name change is a stupid move in my opinion. Lots of people (especially less technologically advanced folk) are going to have a hard time figuring out what happened to the market. You don't "Play" a book. before the change it felt like a very developed and uniformed brand that was a testimony to Google's hard work ever since they aquired Android and now it feels completely alien. Google needs to work on making what they have that is familiar better instead of starting over completely with a new brand identity just to keep up with the times. Apple has never once had to rebrand anything to score points in popularity, in fact it was just the opposite. they built up their brand until it's become the most familiar, household name probably in history. thats true and thats why there products fly off the shelves because the average person goes with what they know. Apple would lay boiled eggs if they did that. I like the idea of an integrated store for books, music, videos and apps but the name, Google Play is just awful..sounds very childish in my opinion. Google Market would be a better name.